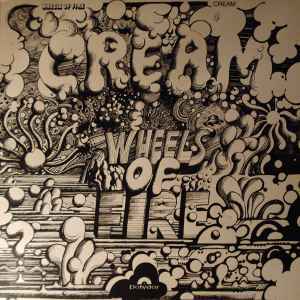 "Wheels Of Fire - In The Studio" is a 'stand-alone' album release, taken from the 1968 double-album Wheels Of Fire. "In The Studio" was originally released in both mono & stereo, with a gold-foil card cover printed with a black illustration. So is there a Japanese pressing of only the live record? I have a copy of this record but serie is SLPHM/D 184 167. Maybe a wrong serie on the release or I have a different version? Why on earth isn't the "Wheels of Fire - Live at Fillmore" album an entry in its own right? It has got nothing to do with the studio album, except for the similarity of the title and the artwork.